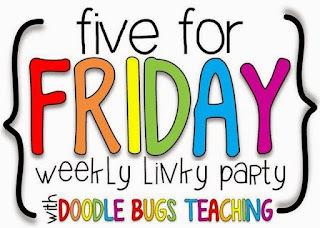 It is Friday and I'm linking up with Kacey from Doodle Bugs Teaching for the first time in several weeks. Yay!! I have missed this linky. It is fun to think back on the highlights of my week. Plus it is currently getting me out of packing the car so I'm all about the excuse to procrastinate. 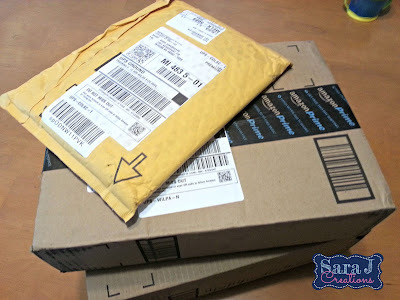 Over the past few weeks I've gotten a little Amazon Prime crazy. It is just SO easy. Oh we need that? Oh okay let me check. Available with prime? Yep. Can be here in two days? Okay, submit order. DONE. No going to the store. No dragging two toddlers along and ending up with more than I intended to buy. It is so easy. Here are a few of the random things I've grabbed over the past couple weeks. 1. 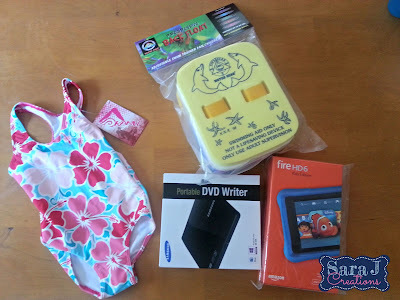 Kanu Surf Little Girls' Florence Swimsuit, Pink, 4T A new bathing suit for K - not the best selection on Amazon but again I didn't have to go to the store and since it is nearing the end of the season I was having trouble finding an extra bathing suit in her size. This did the trick! 2. Water Gear Back Float 4-Color Split Back Float Back Floaty for M - the girls use these in swim class. It helps keep them above water yet gives them more range of motion than a life jacket so they can learn to swim and use their arms. As they get more comfortable you can remove the foam layers and it lowers them further into the water. We have one but with two swimmers in training, we needed a second. 3.SAMSUNG TSST SE-208DB/TSBS 8X Slim DVD+/-RW Slim USB Portable DVD Writer (Black) Portable DVD writer - my CD/DVD drive just stopped working on my computer a few months ago. I don't use it a ton but I don't like not having the option to use it when I need to. I figured it would be cheaper than having my computer fixed to just buy a portable and so far it seems to be perfect. 4. Fire HD 6 Kids Edition, 6" HD Display, Wi-Fi, 8 GB, Blue Kid-Proof Case Kids kindle - yeah I got sucked into the Prime Sale day and bought this. We don't really think the girls need a tablet of their own this young but it was so appealing that it is kid friendly, it can have all of their stuff on it so they don't have to use my tablet anymore, you get movies, shows and games free for a year and if anything happens it is replaced in the next two years. We'll see if we hold out long enough to make it a Christmas gift. I justified it that I can put more educational games on it and use it during "school time" with K in the fall. 5. 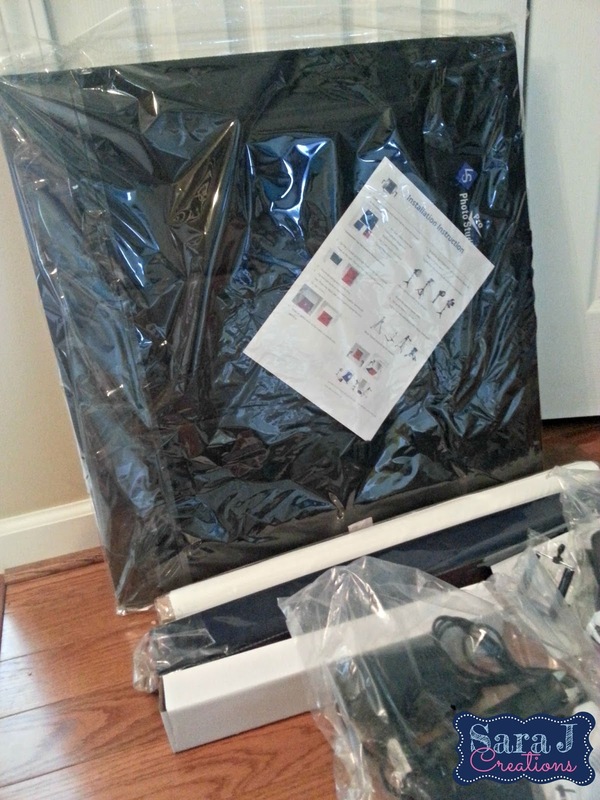 LimoStudio Photography Table Top Photo Light Tent Kit, 24" Photo Light Box, Continous Lighting Kit, Camera Tripod & Cell Phone Holder AGG1069 A light box to take better pictures because the lighting in my house is not good. So far I don't have a clue what I'm doing. One day I got better shots than normal and the other day they were just as bad as normal. So I have a lot to learn and play with. It is kind of a pain to set it all up each time since I have no where to keep it so kid hands don't touch it. 5. Silhouette Of America Adhesive Back Stencil Material, 12 by 24-Inch Silhouette stencil material - normally when I make my subway art I use vinyl as my stencil since it is a one time thing. Since I had multiple orders to do this week, I used the stencil material so it would be reusable. 6.Expressions Vinyl - 6"x100' Paper Transfer Tape Roll - For Craft Cutters and Vinyl Application The big roll is transfer tape for vinyl. I usually use transfer paper so this was a nice change. It was easier to use, clear so I could see through it for placement but it seemed to stick more to the vinyl and I had a hard time getting it off. I got the 12 inch version but it is no longer available. 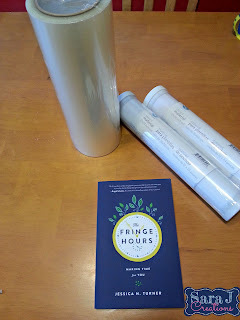 7.The Fringe Hours: Making Time for You I have heard a lot about The Fringe Hours through the scrapbookers that I follow. It is all about finding time for yourself and finding balance. Sound familiar? I just happened to catch a periscope with Crystal at The Balanced Teacher and she mentioned this book and maybe doing a book study. It is on my list to read next. Seriously wasn't that the most random assortment of things that I "needed" in the moment? Gotta love Amazon. When I first quit teaching, I spent the year making and creating and crafting a lot. I got into jewelry a little bit and then started creating subway art on wood plaques. I did some generic pieces that could be used for holidays or in any home but the ones that really took off were personalized ones - weddings, baby birth stats, first communions, personality plaques, teacher plaques, etc. When I got more into TpT I decided to go more into that than the crafting. I debated an Etsy store but TpT was just so much easier because I didn't have to deal with shipping and handling and restocking anything. However, I do have some customers that ordered from me that first year that continue to order and I'm happy to do it because it is fun for me. 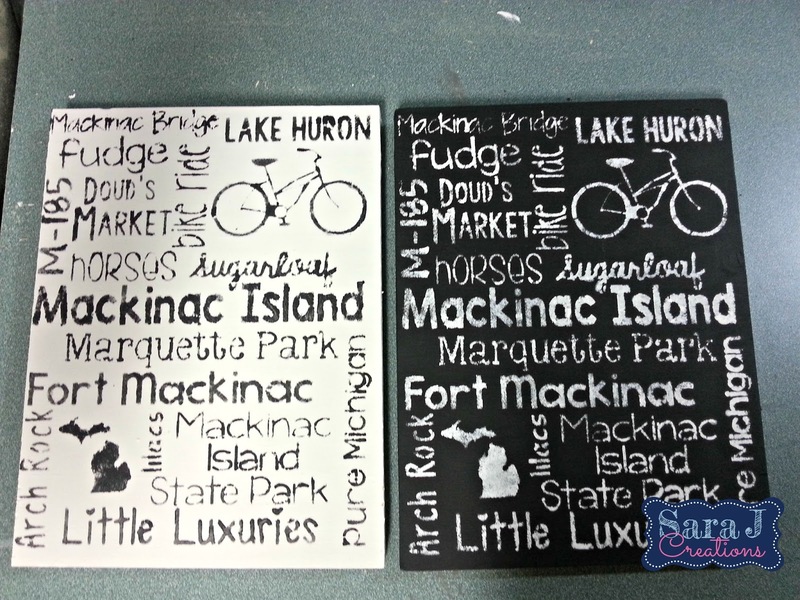 A few months back, I made a Mackinac Island one for me because I decided I wanted my summer mantle to be all about Michigan and our favorite place to visit. I made an extra one and sent it to one of the store owners on the island as a thank you for some help she gave me with orders I placed back in the winter. She just went above and beyond and I wanted to thank her and let her know how much I appreciated the help she gave me. I sent her a plaque and she asked if I had any interest in selling my products in her store. Um what? Selling something I made on the island that is my favorite place in the world? Okay!!! She ordered twelve from me so I spent the past two weeks painting, and painting and painting some more. And then trying out the new stencil material and trying to perfect a system for making a large quantity of the same plaque. My husband, of course, helped but also was Mr. Businessman and kept talking about my hourly rate and how it probably isn't worth it. Um, may I remind you that something I made is available to be purchased by strangers on Mackinac Island?? That's worth all the time I put it!! Definitely a bizarre and surreal moment for me. The subway art made it to the island this week and should be on display in the Little Luxuries of Mackinac Island storefront right now. While I was spending all of that time painting, I needed something to keep me busy. 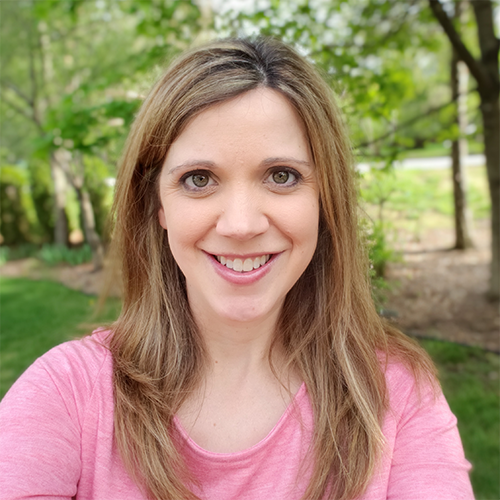 Since I was in the work room, I didn't have a tv, I decided to start listening to some podcasts and webinars and things that could help my business. And it was actually fun. I learned a lot and was actually able to listen and work at the same time (I was worried I wouldn't be able to focus on what they were saying). One that I liked was The Mom Biz Coach. This is by the author of Moms Mean Business, the book we gave away at our meetup in Vegas. She was nice enough to Skype in with us that day and mentioned the podcast. Lots of good tips for business owners (not even just moms) and ideas for balancing it all. I also listened/watched some periscopes that were tutorials. Amy Lemons had some good ones. 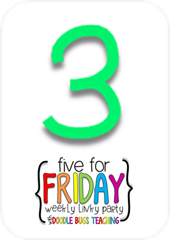 I love learning new tricks on Powerpoint or new programs/websites that could make my life easier. I had a super loyal customer request some back to school task cards. 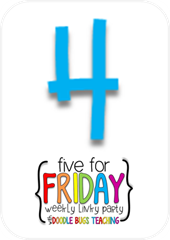 I created several different task card sets for second grade math and added a lot of holiday/seasonal versions. This amazing customer buys them up and then asks if I have plans to make them for the next season. In the beginning, I did have that plan, but then I got burned out on task cards and stopped making them. But she loves them, asks for new ones, buys them immediately and leaves me awesome feedback. How do I say no to that? So I made her some back to school task cards for second grade that are a review of first grade concepts - perfect for the beginning of the year. As with all of my task cards, these come in color and black and white and include 32 cards, a recording sheet and an answer key. 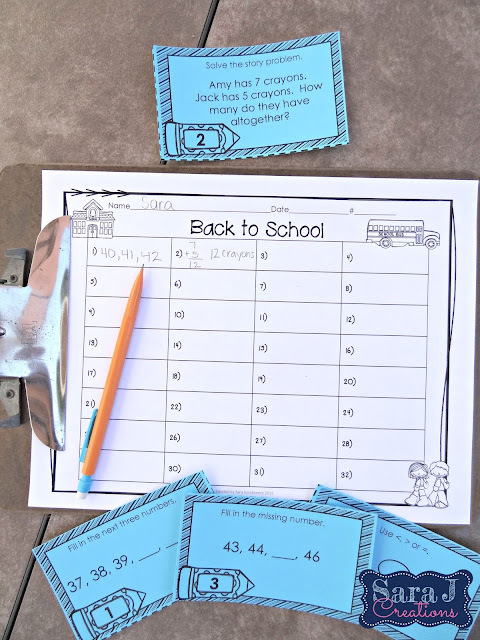 I also include a list of ideas for using task cards in the classroom. We are headed off for another camping trip in northern Michigan this weekend. And as luck would have it, it is supposed to be cool with a chance of rain. I figured two months later than our last trip would be pretty safe to not need long sleeves, sweatshirts and jackets. Oh well. Hopefully we are more prepared this time and not as cold as last time. We are all excited for a getaway so it should be good no matter what the weather has in store for us. Plus we are leaving our dog with friends this time so we will have more flexibility to go places to get out of the rain or cold if we need to. I love Mackinac Island and have been trying to convince my husband that we NEED to go there with our girls. Your prints are beautiful!! I hope it is not rainy for your weekend - cool is doable - rainy, ugh!! Fringe sounds like a book I need to read...thank you for pointing me towards it! Kanu surf is a great brand! We order their swimsuits and rash guards whenever they are on zulily. 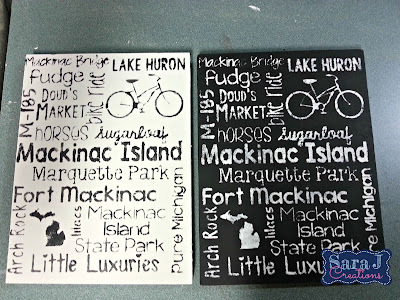 I'm so excited for you with the shop on Mackinac Island buying your artwork!!! I hope it goes well. So exciting! Hopefully it won't rain too much for you this weekend. Enjoy... that sounds lovely. Talk to you soon! Amazon Prime is amazing! When I retire to the country 20 or so years from now that's how I plan to shop for everything, groceries included. Your Subway Art looks fabulous, so stinking cute! I hope y'all have a great weekend getaway!